*Lease Loyalty: Must be returning Chrysler lessee. Conquest Lease Assist. available to current lessees of competitive non-Chrysler vehicles. See dealer for details. 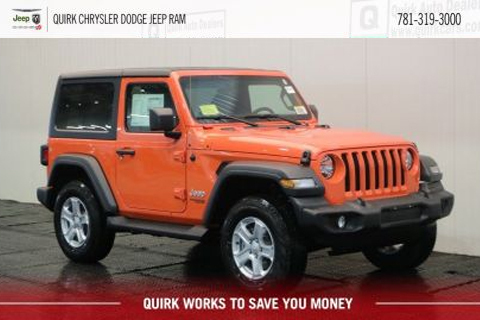 Lease pricing APR based on 2016 Renegade models. Stock #D8469. @ DISCOUNT. All leases: $2995 down, 10K miles/yr. Tax, title, acq., sec. reg doc. additional. Extra charges may apply at lease end. With approved credit. Finance Bonus requires finance w/Chrysler Capital. All transactions must be completed at time of sale. Must finance with dealer. Subject to program change without notice. Purchaser must have a FICO credit score under 620 to receive Subprime bonus cash. Purchaser must own a business to receive Commercial Bonus. Wrangler loyalty only available to current JK Wrangler owners By submitting you agree to our terms and conditions . $299 documentation fee not included in final price. $20 per $1,000 borrowed. Security deposit not required. Residency restrictions apply. Sale ends 04-30-2019.